Its time to put halt for a hard, hectic and stressful schedule of the weekdays! Welcome the holiday with great joy. Saturday, a last and most fun-filled day to celebrate the weekend. Wear that cute and pretty smile on your face and share it with your special ones too. Free download and send this "Smile. 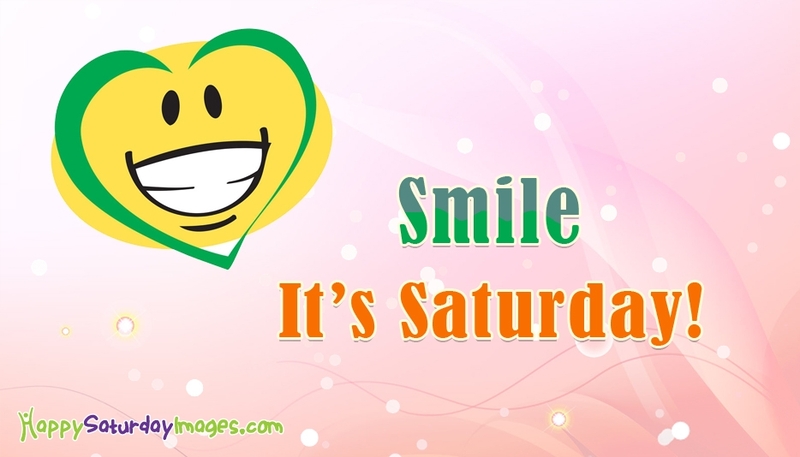 It's Saturday!" image to everyone.